Often times, picking a “Pic of the Week” is a snap: one ridiculous picture will go viral in the previous week, making it the obvious choice. But occasionally, there are several pictures that I’d be more than happy to see take the prize. Such was the case this week, as I nearly went with a picture of Luis Suárez thinking it was a good idea to bring his 10-day old son out onto the pitch at Anfield for warm ups on Saturday. A narrow loss for Luis, but I’d bank on him being back here sooner rather than later. 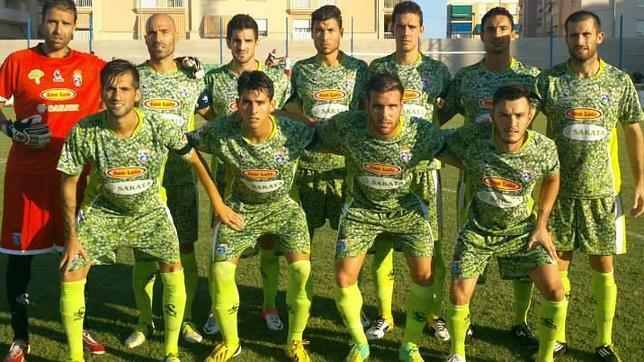 Instead, I opted for this pre-match team picture from Spanish Segunda B side La Hoya Lorca, as they debuted their brand new broccoli-themed away kits this weekend. Yes, you read that correctly. Broccoli. And believe it or not, this is actually their second savoy-flavored uniform, as they trotted out in one several times last term. Sure, it’s nice that the club are paying homage to the local Murcia region’s agricultural heritage and primary export. And they’ve earned a solid nickname of El Brócoli Mecánico — or “the Clockwork Broccoli” — from rocking them, too. But I can’t imagine their hue makes finding teammates on the pitch any easier. And I’d also guess they’ve had a serious drop off in the number of children attending matches, too.